Dr. Adriana Cervantes-González has been an educator for the past 17 years serving faculty, students, and families in K-12 and higher education settings throughout the Central Valley of California. Currently, Dr. Cervantes-González is a Fresno State Adjunct Professor for the Kremen School of Education & Human Development, working with Graduate students who are secondary school teacher candidates. Dr. Cervantes-González is also a member of the CLEAR 2020 Strategic Planning Task Force Team. Adriana’s professional career has included positions with the Office of University Grants and Research at Fresno State where she coordinated efforts of federal, state, and local grants. This involved networking with funders of initiatives focused on transforming educational attainment opportunities for Latina/o youth. Adriana has previously held counseling and adjunct faculty positions at Fresno State, and Porterville Community College. Adriana was also a Learning Director and Counselor in the Visalia Unified School District. Dr. Jesús González Jr. currently serves as Assistant Principal of Curriculum and Instruction at Visalia Unified School District’s largest comprehensive high school. He also serves as a Fresno State Adjunct Professor for the Kremen School of Education & Human Development working with Graduate student teacher candidates seeking a secondary school credential. Jesús began his career as an educator nearly 20 years ago at an inner city school with Fresno Unified School District, and has since held various teaching positions in the primary, intermediate, and secondary grade levels. Jesús has held the positions of teacher, coach, coordinator of second language learners, and teacher on special assignment. After having served students as a teacher for 11 years, Jesús assumed leadership roles as migrant coordinator, then area administrator for the Tulare County Office of Education, Migrant Education Department. His responsibilities encompassed working with multiple school districts in Kings and Tulare Counties to ensure equity in educational opportunities for migrant students and families. Jesús earned his Doctorate in Educational Leadership (Ed.D) at Fresno State. His research interests include college choice of high achieving students of color attending selective universities, cultural competence, equity and leadership training for school leaders. Jesús also serves on the CLEAR 2020 Strategic Planning Task Force Team. Dr. Christina Luna is currently an Assistant Professor at CSU Fresno, where she is an instructor in the Educational Leadership Program. Dr. Luna has been an adjunct professor for the College of Educational Studies at Chapman University in Orange and for the MAT program at the University of Southern California. She has dual bachelor’s degrees in Child Development and Mexican American Studies, teaching and administrative credentials, and a master’s degree in Educational Administration from Cal-State University Los Angeles. She earned her doctorate degree at the University of Southern California in Learning and Instruction. Dr. Luna is a career educator with over thirty years of experience at the University and in PK-12 public schools in Los Angeles, Orange and Central Valley counties. She has held position ranging from classroom teacher to Superintendent. Prior to that, she was coordinator of the Liberal Studies Program, lecturer in the Department of Counselor Education and Rehabilitation, and director of the Education Student Services Center. She was recognized in 2006 with the University’s Outstanding Advisor Award, served as two-time President of the Honor Society of Phi Kappa Phi, and has served on numerous University committees, including chairing the Student Success Summit committee. In addition to her involvement with the CLEAR Mentoring Program, Dr. Morillo serves as a mentor in the University Mentoring Program, and has contributed to various student success initiatives. She is a Central Valley native whose passion has been in education and advising, while becoming a three-time alumna at Fresno State. Dr. Darlene Murray is the Student Equity Coordinator at Reedley College. In 2013, Dr. Darlene Murray earned her doctorate in Educational Leadership from Fresno State. She currently serves as Student Equity Coordinator at Reedley Community College where she works to improve access, course completion, ESL/ basic skills completion, degree and certificate completion and transfer for Reedley’s disproportionately impacted students. Previously, she served as the Graduate Program Assistant for Fresno State’s Doctoral Program in Educational Leadership and she continues to assist doctoral students by hosting workshops using NVivo software for qualitative data analysis. In 2015, Dr. Murray was awarded the WESTOP Trio Achievers Award. She is passionate about education equity, improving academic achievement for men of color and foster youth in higher education. Dr. Kenneth R. Magdaleno serves as Director of the Doctoral Program in Educational Leadership at California State University, Fresno in addition to serving as Co-Director of the Collaborative Online Doctorate in Educational Leadership (CODEL) under development at CSU Channel Islands and CSU Fresno. Dr. Magdaleno earned his doctorate in Educational Leadership from UCLA and is the founding Executive Director of the Center for Leadership, Equity, and Research (CLEAR). Published works include Educational Leaders and the Acknowledgement Gap (in press, Journal of School Leadership, 2015) and Mentoring Latina and Latino Leaders in Keeping and Improving Tomorrow’s School Leaders (Rowman and Littlefield Education, 2010). His primary research interests are areas of critical race theory, social justice, leadership mentoring and developing educational leaders of color. 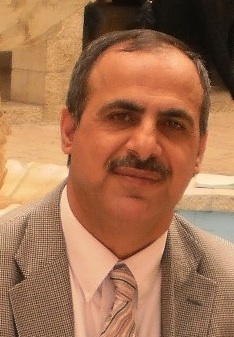 Dr. Mahmoud Suleiman is a professor and Chair of the Advanced Educational Studies Department at California State University, Bakersfield. He earned his Ph.D. from Arizona State University in 1993. He previously taught at the Maricopa Community College District, AZ; Arizona State University, Tempe; and Fort Hays State University, KS. He joined CSUB in 1999 and has taught a variety of credential and graduate courses in the areas of multiculturalism, reading/literacy, second language acquisition among others. During his tenure at CSUB, he served as Director of the Multiple Subject Credential Program and as Chair of the Teacher Education Department. He is a Fulbright Scholar (2009/2010) and completed his residency at the Bahrain Teachers College, University of Bahrain, Bahrain. He is currently the Advanced Educational Studies Department Chair at CSUB. Jenny Vue, became part of CLEAR in August 2012. Jenny started as Executive Assistant, and her role has been ever changing and evolving. As Program Coordinator, she is responsible for assisting in the development and evaluation of programs. Jenny also sits on the Advisory Board of CLEAR. She has a Master’s in Social Work and PPS Credential. Tiffany Jennings is the Administrative Support Coordinator II Supporting the Doctoral Program in Educational Leadership at Fresno State. She has worked with Dr. Magdaleno since October 2013. She has been with Fresno State since 2008, working in Accounting and now as Support Staff to the Ed.D. program. Tiffany looks forward to working as the Executive Assistant to CLEAR, supporting the organization in its mission.